Job adverts for nursing positions in the NHS and elsewhere often include a name and number for potential applicants to contact for more information, and applicants are being encouraged to make good use of them. 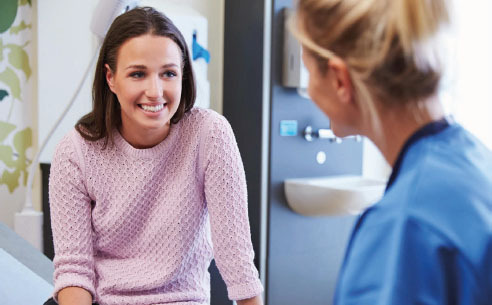 Nursing careers experts say valuable knowledge can be gathered from a phone conversation, email or visit to the organisation where an applicant is keen to work. This is the type of information that can improve an application; it also helps a nurse decide if the job is right for them. Imperial College Healthcare NHS Trust senior nurse for education, learning and development Anna McGuinness encourages applicants to contact future employers. She takes this approach herself when looking for a new post. The RCN careers advice service also recommends an informal visit before an interview, as a good opportunity to talk to staff, get answers to questions, and assess whether the post and environment meet the applicant’s needs. What support do you offer to qualified nursing staff that would help me develop as a clinician? How has working here made a difference to your life? If I am successful in my application, what would a typical day look like? What skills and knowledge have you been able to develop here? I have specialist skills in X – how would I be able to apply them here to support your client group on their care pathway? What career pathways do you have in place? Do you have links with local universities or community of practice groups? Do you offer mentorship training to qualified nurses? Florence Nightingale School of Nursing and Midwifery careers consultant Sabrina Duggan says making contact is important if an applicant has not visited that trust or employer before. ‘Contact from applicants is usually welcomed,’ she says. ‘Nurses can find out if it is the right unit, surroundings and team. They can chat to other people in the team and get the kind of exposure that is really personal. Heike Guilford, a staff recruitment and retention coach who specialises in learning disability nursing, says: ‘When a nurse goes on an organisation’s website, it can often be shiny and pretty, but if you go along you can see if they actually deliver what they promise’. This takes place on March 3-4 at the Pavilion Hall, National Exhibition Centre, Birmingham. Meet potential employers and recruiters, and get advice on finding a new job, developing your career or climbing the career ladder. Nursing Standard editor Graham Scott will also host revalidation workshops on both days.